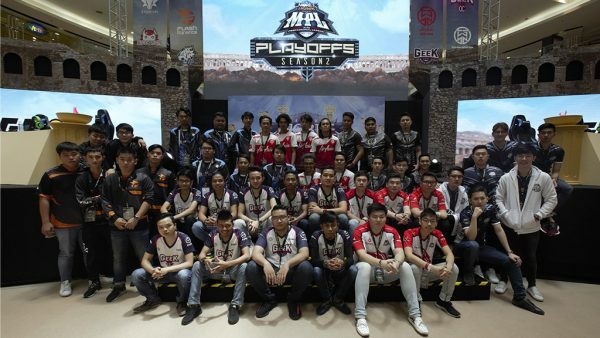 Cooler Master turns 25 this year, and the company brought a ton of products to COMPUTEX this year to show that it has no intention of letting up. For starters, it announced the Cosmos C700P, the newest model in its signature Cosmos series that has been redesigned with a more modern look. That said, it retains the traditional design elements of its forebears, such as the four thick, brushed aluminum handlebars. 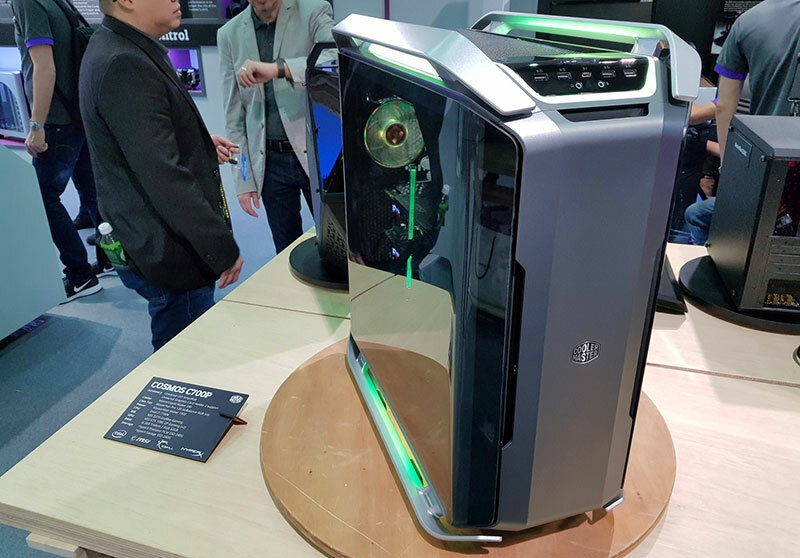 However, it now incorporates Cooler Master’s recent focus on modular designs – such as with its MasterCase series of cases – and features flexible internal layouts and plenty of room for high-end components. The motherboard tray holds up to E-ATX boards, and can even be flipped around if you want to mount your board on the other side, or removed entirely to accommodate more unconventional setups. The Cosmos C700P also keeps the curved side panels of its older siblings, but the left one has been replaced with a stunning tempered glass panel that can open up like a door from the front. 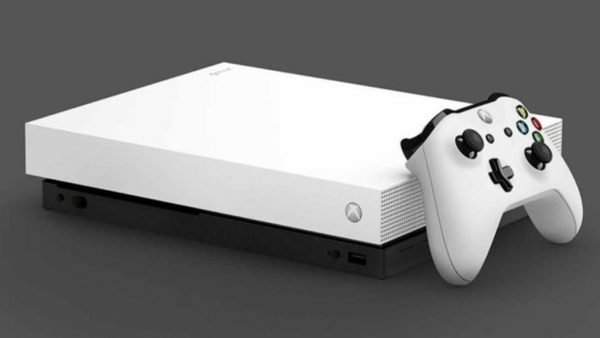 The overall aesthetic has been cleaned up, and you get a smooth, uninterrupted front facade that is capped by an I/O panel with four USB 3.1 (Gen 1) Type-A ports and one USB 3.1 (Gen 2) Type-C connector. On top of the I/O panel, there are button toggles for the internal dual-mode fan and RGB controller that control fan speeds and the built-in RGB lighting effects. The good thing is that the lighting has been incorporated quite tastefully, with recessed RGB lines carved into the top and bottom and LEDs built into the handles. The tempered glass isn’t there for nothing either, and there’s an internal dual-mode fan and RGB controller to control fan speeds and the built-in RGB lighting effects. Cooler Master also pointed out that there’s plenty of room inside for high-end liquid-cooling and plenty of fans. For instance, the Cosmos C700P can take up to a 360mm radiator at the front and top, and a 240mm radiator at the bottom. 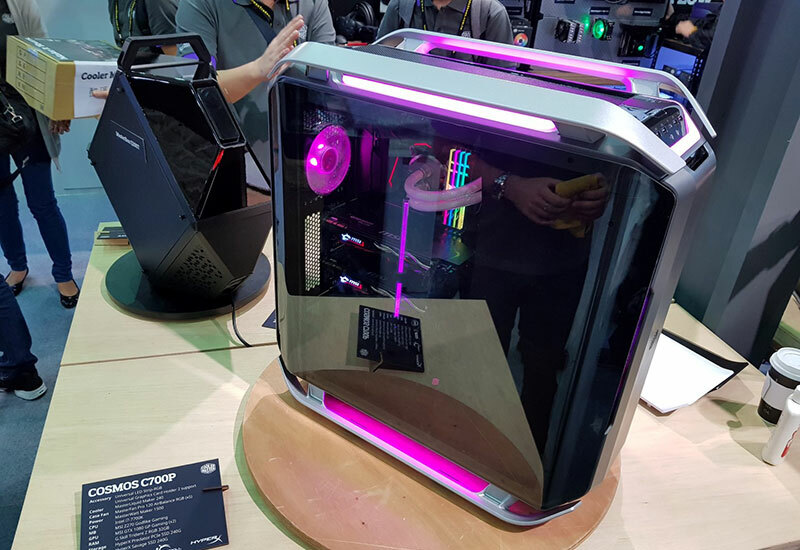 There's more from COMPUTEX 2017 right here, while there's more from Cooler Master here.